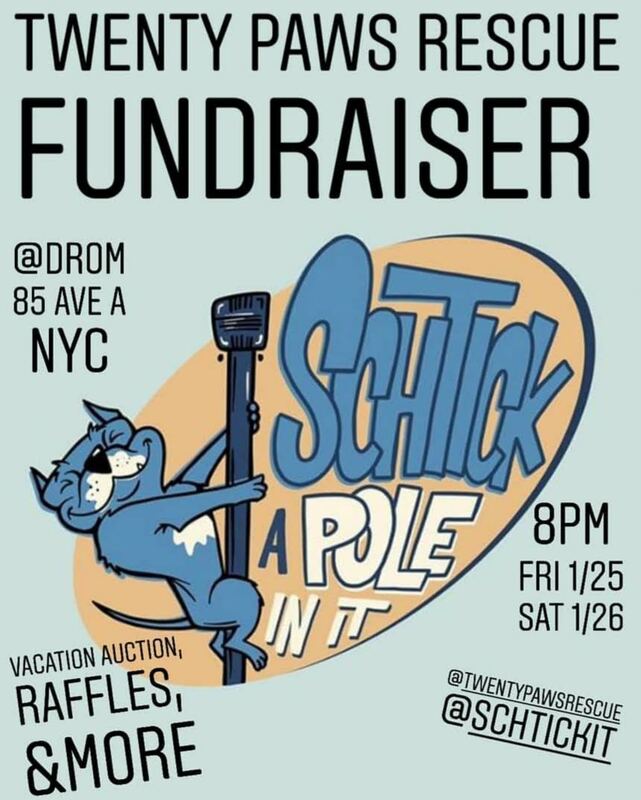 Rescue, comedy, and pole dancing are joining forces for January’s Schtick a Pole In IT. Show starts at 8pm on Jan 25 and 26 at DROM. Come early to check out the ridiculously spectacular raffles and silent auction vacation. This show marks their 6th anniversary and it’s going to be huge!! !